One of the sanctions the rule of law mechanism, currently being developed by the European Commission, should impose is triggering Article 7 of the Treaty of the European Union. This article envisages suspension of voting rights of a member state in the Council. 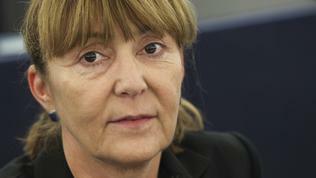 The opinion belongs to Monica Macovei, MEP from the group of the European People's Party (Romania). She is a former minister of justice of Romania who was a symbol of the reforms in the country and is considered one of the reasons for Bulgaria's and Romania's EU accession on January 1 2007 because of manifested political will for reforms. Ms Macovei was also one of the architects of the establishment of the Cooperation and Verification Mechanism (CVM) which the two countries joined the EU with and which monitors the implementation of their commitments in the fight against corruption, the judicial reform and in the case of Bulgaria - the fight against organised crime. Currently the procedure for triggering Article 7 is so complicated that practically it is impossible to be applied. The first and for now single attempt to suspend the voting rights of a member state was in 2000 for Austria, because the far right Freedom Party of late leader Joerg Heider was part of the government. According to Monica Macovei, any form of sanctions that could make the member states adhere to the rule of law should be on the table. She quoted as quite successful the 'lex Perkovic' case with Croatia this summer. In an interview with euinside she welcomed the European Commission's readiness to develop a mechanism, but firmly rejected the possibility that it can in any way be bound to the CVM for Bulgaria and Romania. This is a mechanism that addresses specific things and is tailored for specific countries. The rule of law mechanism should be introduced for all, in parallel to a mechanism that detects corruption (already in place), the Romanian MEP pointed out. According to her, the CVM is successful and should stay, because if it were not for it the anti-corruption authorities in Romania would probably have long been dismantled. It ensures that the fight against corruption will continue even after accession. There are not a few countries where attempts can be observed by the political class to mitigate the impact of anti-corruption institutions. As an example Ms Macovei gave Romania where only 2 weeks ago there was a successful attempt to replace a leading anti-corruption prosecutor. In Slovenia, after the accession in 2004, there were also many attempts to dismantle the anti-corruption agency as the last one was in January 2013. Then the chief prosecutor of the agency publicly accused the prime minster and the opposition leader of criminal activities. The response of the political class was an immediate attempt to replace him. This unleashed a wave of protests in the country, the MEP recalls and goes on with Lithuania, which currently holds the 6-month rotating presidency of the Council of the EU. There, too, the parliament tried to fire the chief prosecutor in the anti-corruption office after the accession. "So, politicians have these reactions. That's why I'm saying that as long as we know that it's a political decision to join the EU and these reforms are not irreversible, we cannot do in 10 years what other countries did in hundreds of years, then we should take some safety measures to ensure that these continue". The rule of law mechanism can do part of the job, but in general it is best all enlargement countries to join with a specific mechanism to ensure that the problems of each country will be solved to the benefit of the country and its citizens. Justice, Ms Macovei said, is not only for the ordinary citizens. It is also for the politicians who do not like to be investigated, do not like their assets confiscated, their conflicts of interest revealed and, therefore, to lose their jobs. However, countries do not join the EU for the benefit of the politicians but so that citizens can benefit from the membership. "I am sure that people would like the reforms to continue after the accession", she said. This is the reason why the former justice minister of Romania insisted Croatia to join with a mechanism. Not like the one for Bulgaria and Romania, not even with the same name, she pointed out, but one that can guarantee that after accession the judicial reform, the fight against corruption and organised crime, against money laundering will continue. The MEP is of the opinion that Croatia was not as well prepared as were Bulgaria and Romania, for instance. She justified her position by saying that the key centre for prevention of conflict of interest was not operational at the time of accession. "How will we know that it will work or not? What is wrong to have a mechanism that can monitor this centre and see how it works and its results". Besides, there is no track record in Croatia of sufficient convictions from all parties to prove independent investigation. 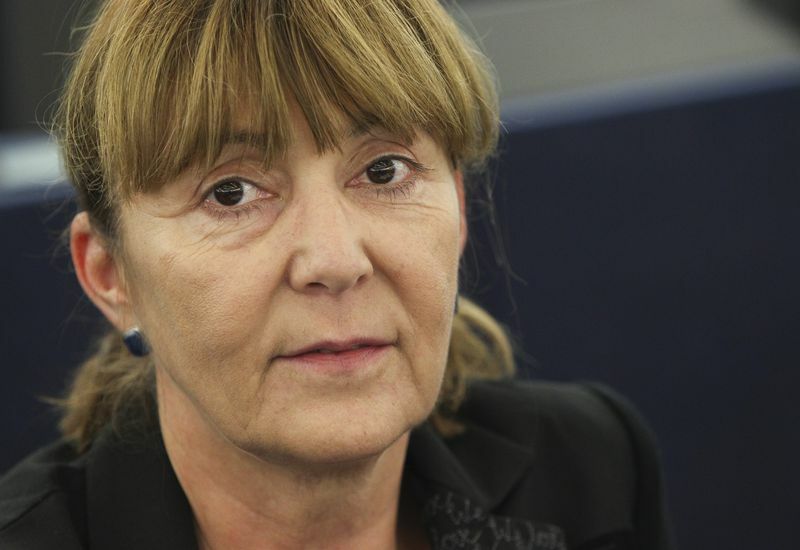 Monica Macovei commented also the changes the EPP is facing after the death of one of the party's founders - former Belgian Prime Minister Wilfried Martens. Currently, temporary at the helm of the part is the EPP group leader Joseph Daul (France). The election of a leader will take place after the European elections in May 2014 because now is not the time for elections, she said. But is it time for reforms of the party since in the last parliamentary season we witnessed a number of times in the plenary in Strasbourg debates provoked by problems with the rule of law in Hungary, Romania and Bulgaria, which turned into an ordinary inter-party spat - between the EPP and the Socialists. And although Ms Macovei refused to comment on specific cases, she admitted that the EPP needed to reconsider its support for sister parties which violate the rule of law and the most basic European values. According to her, such inter-party fights in the plenary should be avoided. "I didn't come here for this", she concluded. (you can watch the entire interview with Monica Macovei in the video file above). Way to go. A former communist prosecutor is proclaimed symbol of the reforms in Romania. What&apos;s going to be next, Stalin as symbol of capitalism? I&apos;m thoroughly sick of this vicious and hypocritical construction called EU. she represents the true meaning of politics: lying, mischief making, deceiving the electorate. the use of law only against selected few is also a crime. unfortunately this is how EU works.